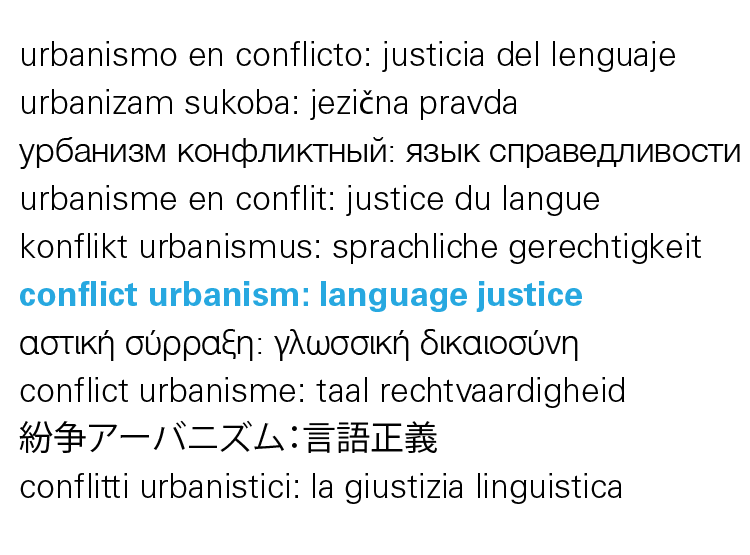 Please join us this spring for “Conflict Urbanism: Language Justice.” This public lecture series aims to explore the role of language in structuring cities, bringing together speakers to address the ways that urban spaces and their digital traces are physically shaped by linguistic diversity, and to examine the results of languages coming into contact and conflict. It is running in conjunction with a graduate-level seminar of the same title. Cosponsored by the Center for Spatial Research and the Institute for Comparative Literature and Society.